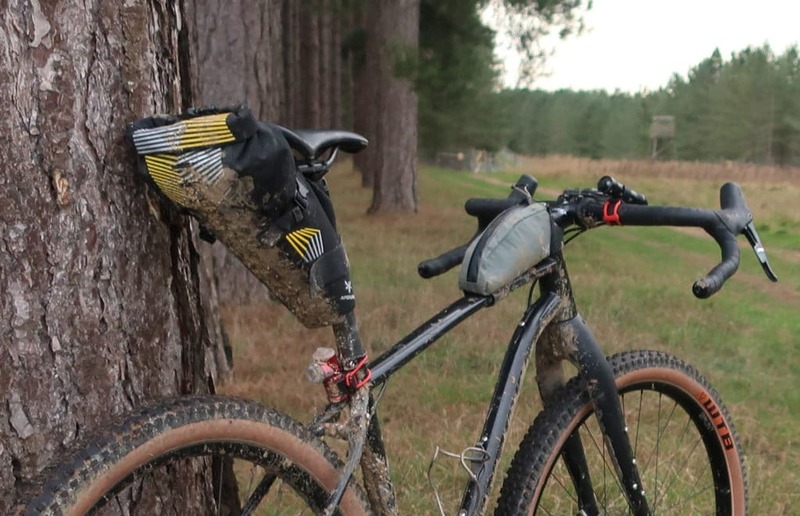 Review: Apidura Racing Saddle Pack (5L) - ADVNTR. 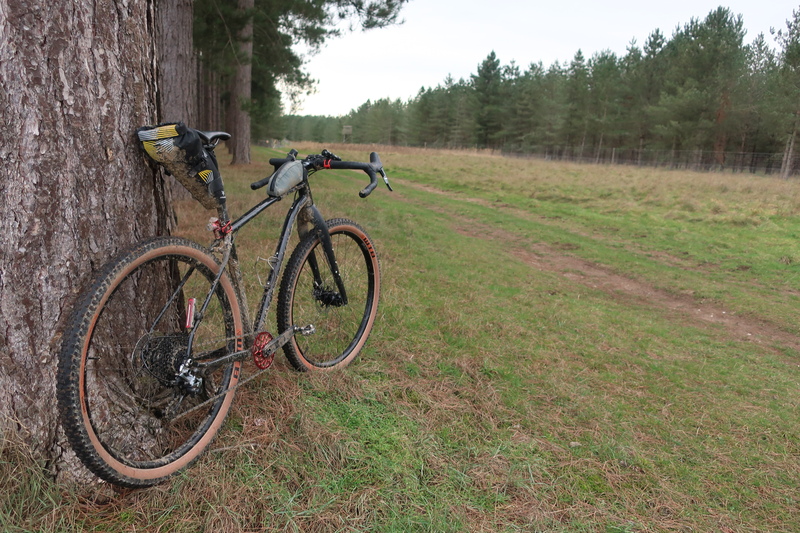 Apidura’s new Racing range is principally aimed at the long distance racer. 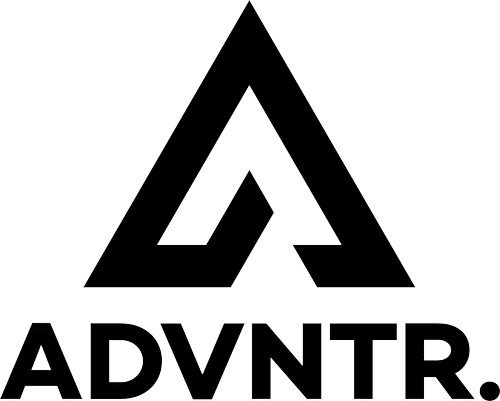 You know, the kind who make up the pointy end of the Transcontinental Race and packs for ‘fast and light’? I like the Racing Saddle Pack because of its reduced size. 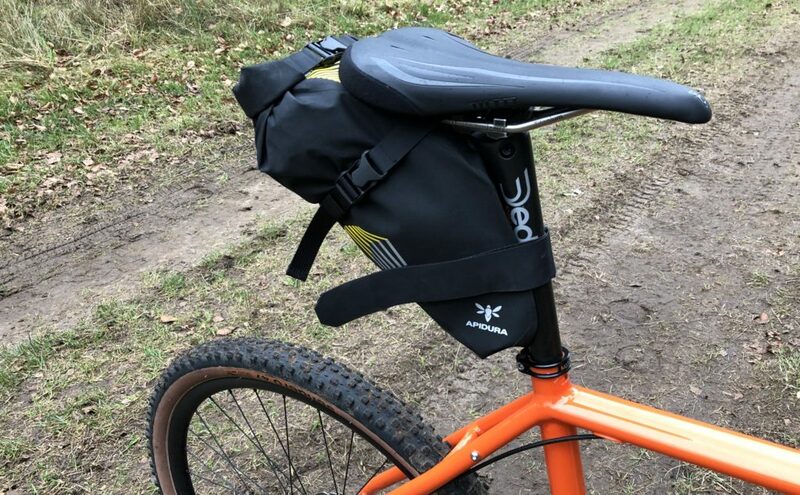 Most bikepacking saddle bags are huge. 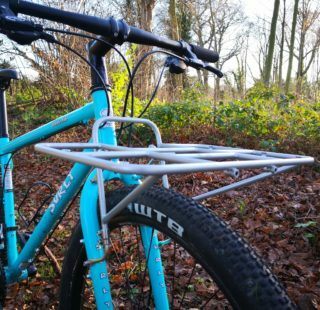 Perfect if you are going away for a weekend, but overkill for single day riding when you might need more than just a spare tube and pump. 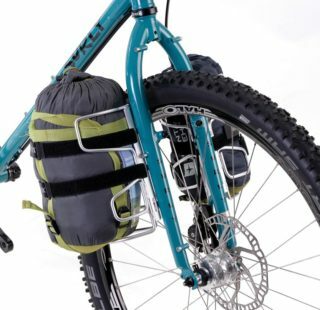 At ‘just’ 5 litres, this latest offering from Apidura is perfect. There is enough room for tools and tubes, a couple of extra layers of clothing, food and a phone. I can even squeeze in a camera and Gorillapod if I pack sensibly. When it starts to rain, there is no need to worry. The Apidura Racing Saddle Pack is made of a fully waterproof material called Hexalon. Apidura claim this fabric was developed especially for the Apidura Racing Series. It is fully seam-welded, resistant to tears, abrasions and punctures. It is also very lightweight. The Racing Saddle Pack tips the scales at 200 grams which is pretty impressive. No matter how durable or lightweight a bag is, it all comes down to the straps. If they are no good, the bag is useless. 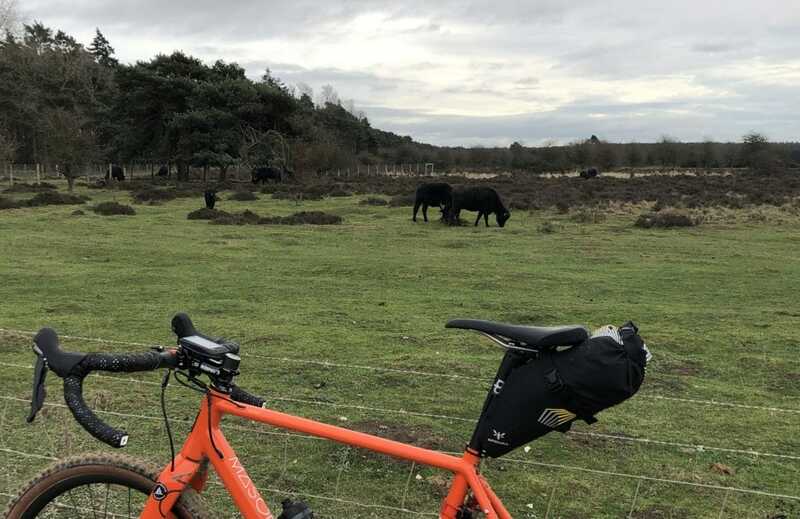 Apidura’s experience has paid off here. 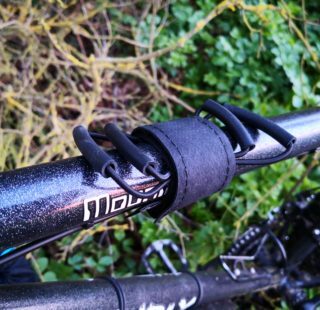 The Racing Pack attaches to the seat post with a one wide, rubberised Velcro strap and two Woojin buckles for the saddle rails. 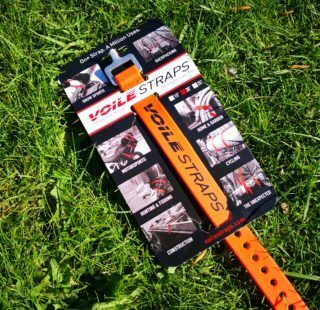 All the straps have plenty of adjustment so no matter how much (or little) kit you are carrying, you’ll be able to cinch them up and avoid any annoying tail waggle. I found the Velcro strap was a little too long, even on wider diameter seatposts. You might want to cut it down. The strap material is pretty thick so at least it doesn’t flap about. A simple roll-top closure provides adjustable capacity and makes access to the contents quick and simple. Just roll it over a few times and then clip the fasteners together. 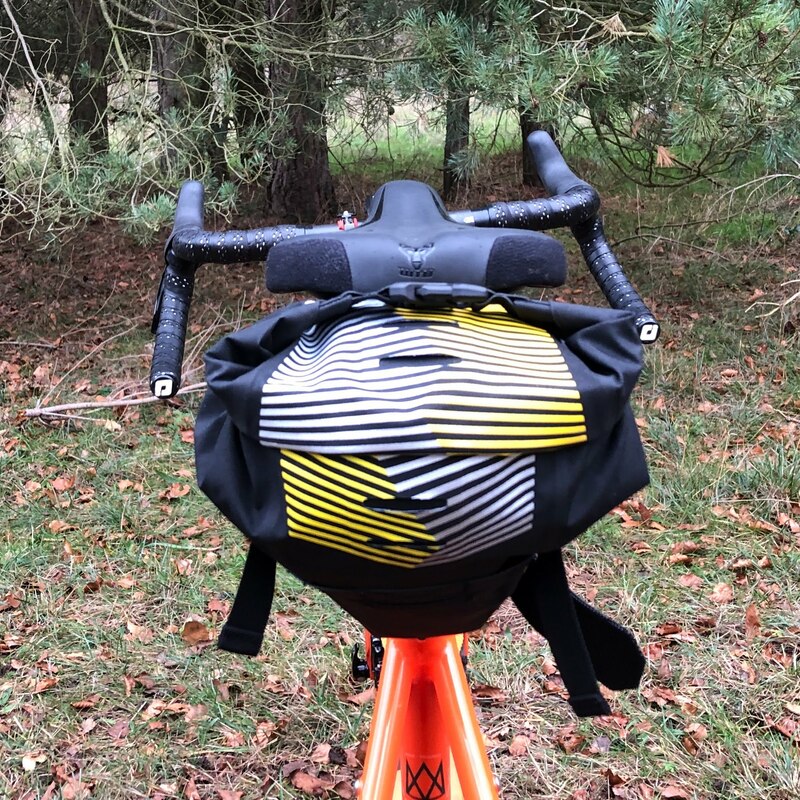 Apidura’s bags have always featured very neat laser cut ‘light attachment points’ and the Racing Saddle Pack is no different. They look smart enough but I have never had a rear light that works with them. Both Lezyne and Exposure lights end up pointing skywards or directly at the ground. Other than the light mounting points, there is a funky reflective pattern to enhance visibility in all light conditions. Durability has been excellent. I keep all my kit in the bag and swap it between test bikes, dump the bag on the ground, chuck in the back of a van and generally abuse it. Even after the muddiest rides, a quick blast with a hose is enough to clean it up and make good as new. I honestly can’t fault it. 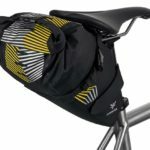 The only negative I have for the Apidura Saddle Pack is the price. £125 is a lot of money for a small bag with some straps. 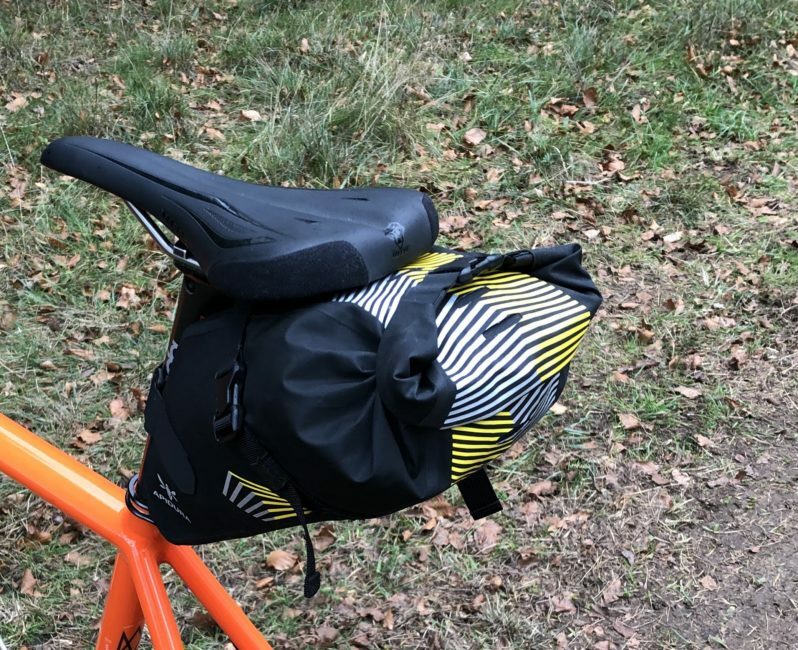 For some perspective, the Ortlieb Seat Pack M costs £110, weighs 325g, has an 11 litre capacity and is the most waterproof bag you’ll ever find. The Ortlieb also compresses down small enough to not look awkward if you are not carrying a lot of kit. It is great quality and has proven to be a very durable sidekick to my travels. 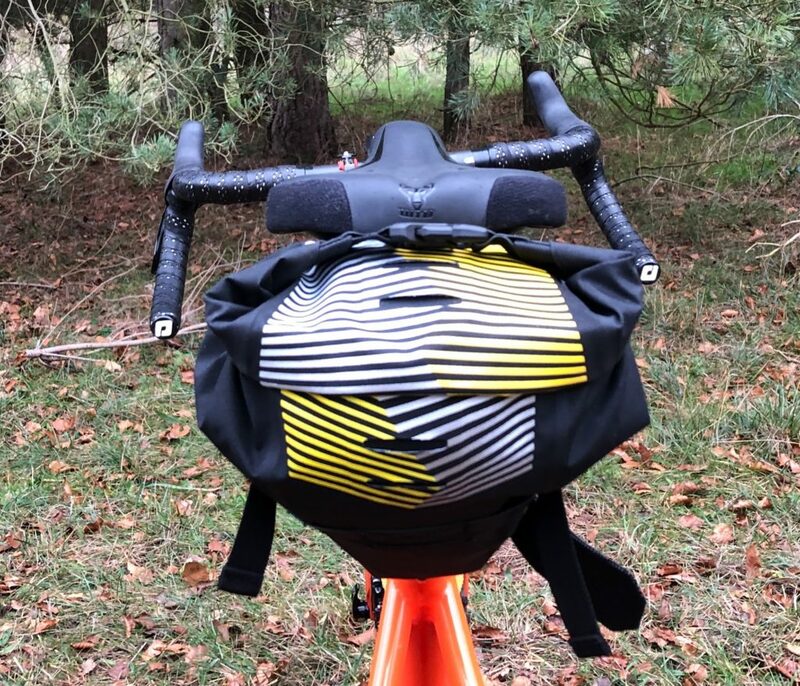 But you’d have to be really obsessive about saving 125g or fallen in love with the look of the Apidura Racing Saddle Pack to choose it over other options.